Mad Men is back on our screens again, and just as exciting as finding out what happens in the lives of Don, Peggy, Betty, and Roger is the chance to relive the classic design of the 1960s – the Mad Men Style. Copying the Mad Men style is a great way to give your bedroom a retro look, but you do not need to be as meticulous as the show’s set designers (apparently you can go into any draw on any Mad Men set and find genuine vintage items of the time). All you need are a few choice items and a lick of paint. 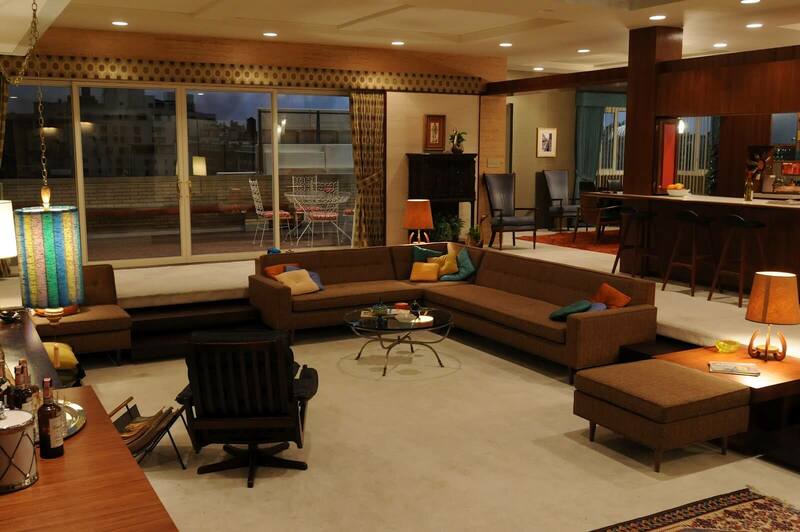 Season five of the hit series brings us into 1966, and while home design – certainly in the Draper house – is certainly moving with the changing times, for Manhattan executives the sixties had nothing to do with the Summer of Love, peace symbols or psychedelia. Their homes were all about sleek and low wooden furniture, Scandinavian design and bright and bold colors. When planning your own bedroom, think about what kind of mood to create; if you want vibrancy from your retro room then go for a bold orange on your walls, but if you want something a little more relaxing look to combinations of creams and browns that will complement your wooden furniture. Much of the decoration in a good 1960s bedroom comes not from the walls themselves, but hangings on them, so look for stylish, simple prints and pictures. The bed is the main feature of the room, but you don’t have to go authentic vintage here; many modern beds create that retro look with leather or upholstery, and newer beds are much more comfortable. Just remember to keep it low to the ground. As for your dressers and nightstands, sleek two-drawer models with slim legs will fit perfectly, just remember to keep it consistent with your use of wood – such as ash – and brighter colors. Complement these with some genuine retro accessories, such as alarm clocks and table lamps, and you’ll have a great vintage look.